Concours of Elegance’s partner, Johnnie Walker, will showcase an extremely rare Delahaye Type 135S at this year’s event, with a very personal connection to the Johnnie Walker founding family. In 1939, Rob Walker, a direct descendant of founder John Walker, was transfixed by a Delahaye 135S in a Mayfair showroom window, impulsively buying it the very same day. Only sixteen were ever built and only around ten are thought to remain. Rob began to race the Delahaye, competing at various tracks throughout 1939, including the legendary Brooklands circuit. On this track in the same year, the car, driven by Arthur Dobson, won a race for the ‘Fastest Road Racing Car in Great Britain’ with a lap of 126 mph average. The onset of the Second World War – during which Walker flew in the Fleet Air Arm – put a stop to Walker’s racing, but by the late 1940s Rob’s Delahaye 135S was back in action. It competed at the Le Mans 24 Hours twice that decade and saw a few notable successes with other drivers at the wheel. 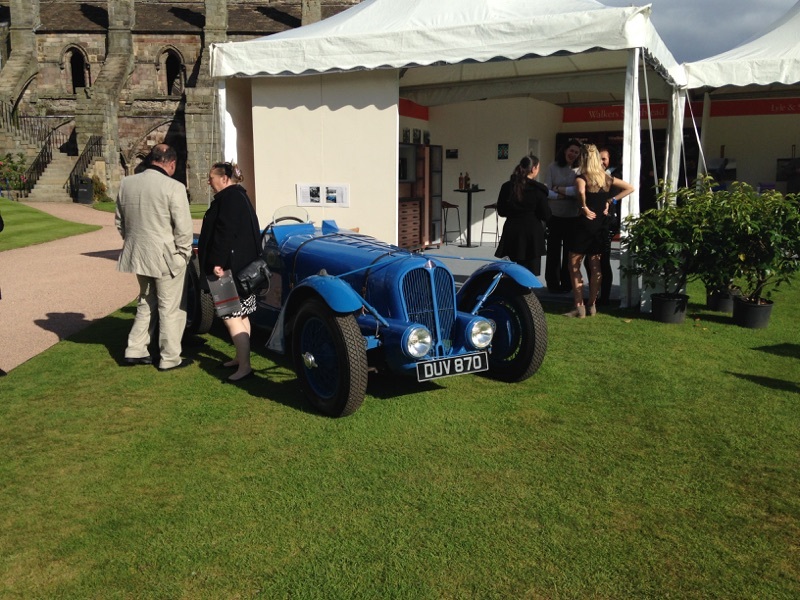 This incredibly rare Delahaye 135S will be on display at the Johnnie Walker stand in the Royal Warrant Holders Association Pavilion in the grounds of the Palace of Holyroodhouse at this year’s Concours of Elegance. Nestled alongside sixty of the world’s rarest cars, and plenty of other incredible motoring legends from the world’s most famous marques, the Delahaye is in excellent company. But the Walker connection with motor sport doesn’t end with the Delahaye. In 1953, the Rob Walker Racing Team was formed, with its drivers racing in the most iconic cars of the era from manufacturers such as Lotus, Brabham and Connaught. In 1958, Sir Stirling Moss won the team’s first World Championship points-qualifying victory, becoming the first – and only – privateer team to win a Formula One race in a car they didn’t build themselves. The team chalked up eight more victories, making it the most successful privateer team ever in Formula One. Today, Johnnie Walker, the world’s best selling Blended Scotch Whisky* is the Official Whisky of Formula One, and also has a longstanding partnership in the sport with McLaren Honda. Through these relationships, it has been able to deliver its global responsible drinking and anti-drink driving message to an annual audience of over 450 million people since 2005.